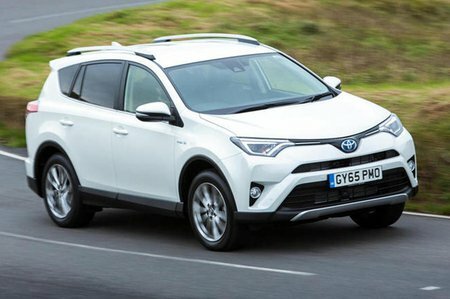 Used Toyota RAV4 Review - 2013-2019 | What Car? The Toyota RAV4 is a large SUV that has grown over the years in terms of both size and engine options. It finds itself in a category chock-full of competitors, with the likes of the smaller Nissan Qashqai and Seat Ateca at one end and larger and more premium products such as the BMW X3 and Range Rover Evoque at the other. To compete, Toyota made the fourth-generation RAV4 quite flexible. It offered a 2.0-litre diesel engine, a 2.0-litre petrol engine and a 2.5-litre petrol-electric hybrid powertrain, as well as front-wheel drive or four-wheel drive and automatic or manual gearboxes, depending on engine choice. The petrol is of niche appeal in the UK, with the front-wheel-drive diesel being the more popular entry-level choice. This engine is refined but hasn’t really got much muscle. On the road, the RAV4’s ride is slightly unsettled, and its handling is less responsive than some large 4x4s'. It’s not particularly comfortable, either, and despite its rugged air, it’s not as capable as some off road. As for trims, there are six to choose from: Active, Business Edition, Business Edition Plus, Icon, Excel and Invincible. 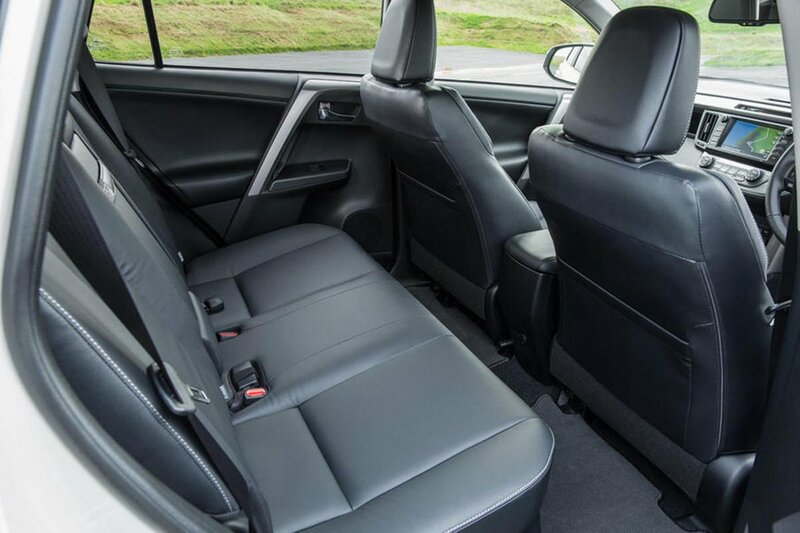 All models are well equipped, with entry-level Active models getting 17in alloy wheels, tinted rear windows, heated wing mirrors, cruise control, air conditioning, a rear-view camera, a DAB radio and a 7.0in infotainment touchscreen as standard. Higher-spec versions add more luxury car features such as leather seats, a powered tailgate and keyless entry and start, but it doesn't turn the RAV4 into a luxurious vehicle, and some of its ergonomics are a bit off; particularly the driving mode buttons, which are hidden out of your line of sight down by your knees. The RAV4 provides owners with excellent reliability, plenty of practicality, mechanical refinement and decent value for money – especially as a used purchase. It isn't particularly thrilling to drive or own, but then those are probably exactly the qualities that buyers of such a car are after.